Spruce up your dog/s for Spring! 20% discount for a pamper & trim - March only!! Call 01603 749937 for your Spring offer. We have warm hearts for cold noses and can take ALL breeds - including giant breeds! Could your dog be a Model? See bottom of page for details. Dapper Dogs Grooming Ltd. is a long established dog grooming centre of excellence and the ONLY City & Guilds approved training centre in Norwich. We have been grooming dogs in Norwich for 18 years now. Our groomers are City & Guilds qualified and we pride ourselves on meeting the highest standards of grooming and listening to our customers requirements. Products and services:- See our new self service facility below! Dog Grooming - full pamper sessions! New self service 'bath your dog yourself'. Why have the mess at home when we provide everything you need - from a variable height stainless steel bath to a range of shampoos and conditioners which includes shampoos for sensitive or irritated skin, greasy or dry coats or medicated shampoos. We also provide towels, a waterproof apron for you, easy and quick to use dryers and brushes & combs. Then we clear up the mess! What's not to like? Afternoons only Mon - Fri from 1pm. Call 01603 749937 to make your appointment for a regular bath & dry - or if your dog gets itself messed up suddenly, just drop in and wait for the first free bath! Prices start at £10 for small dogs and go up in increments of £2 for medium to larger dogs. 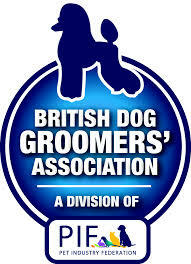 We are also a training school for student groomers to learn and gain City & Guilds qualifications in dog grooming. As such we always need 'models' for our students to work with during course times. 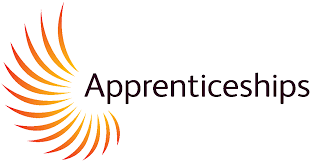 Please be assured that our students learn under close supervision from qualified tutors AT ALL TIMES. To thank you for putting your dog/s forward for this, we will charge you an incredibly low price for full grooming and styling - and will 'tweak' any little errors if needed in order to present your dog looking smart and attractive. Our students start their day promptly at 9.30am so our 'models' need to start at that time too. Your dog will be with us for a few hours and sometimes for most of the day, depending on the amount of work attached - and bearing in mind that students work quite slowly whilst learning. We will make sure that your dog has rest breaks and 2- 3 short lead walks for comfort. Our salons and training rooms are air conditioned in summer and comfortably warm in winter. We have individual holding cages which are clean and comfortable and allow your dog to rest or sleep securely. Some dogs don't like to be caged at all and for those dogs - providing they are sociable and safe to mix with other dogs and the owner is in agreement - we are happy for them to roam around amongst us. Many staff find they have the pleasure of a dog's company during their breaks! Fresh drinking water is always available for your dog whether he/she is in a holding cage or not. *Please do not offer as Models very old or frail dogs, aggressive biters, very nervous dogs or dogs who are blind or suffer with serious medical conditions such as epilepsy or heart disease!